The new series MAJOR U.S. 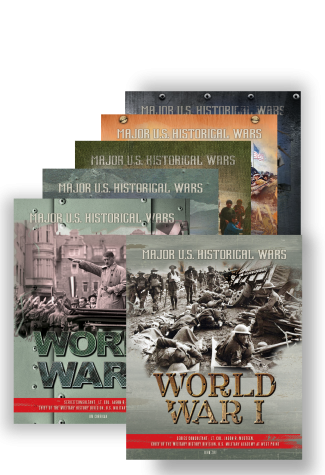 HISTORICAL WARS provides information about 11 important conflicts in which the American military was engaged. 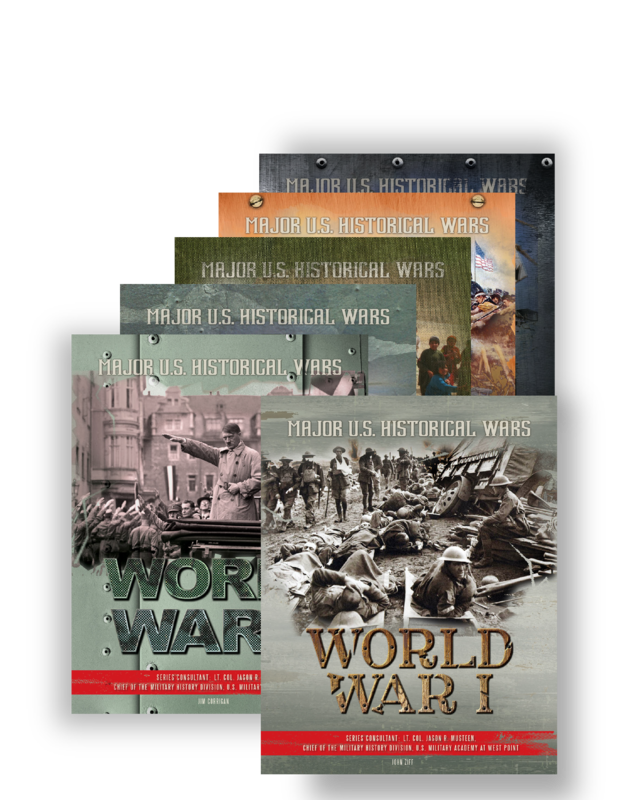 Each of these 64-page books focuses on a specific conflict, providing information on the causes of the war; the major campaigns and battles and how they led to the war’s conclusion; and the results of the conflict and its impact on world history. These interesting and factual volumes are supplemented with numerous color photographs and maps, as well as a chronology, glossary of terms, a guide to additional resources for more information, text-dependent questions and report ideas, and an index. 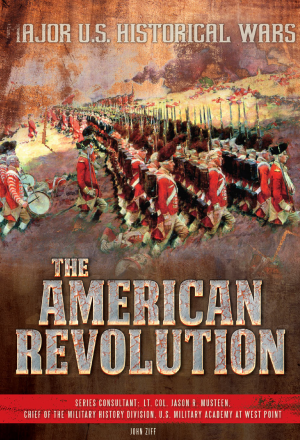 In April 1775, a decade of simmering tension between the government of Great Britain and inhabitants of 13 colonies that Britain had established in North America erupted into a full-fledged conflict. On July 4, 1776, colonial representatives declared that the colonies would henceforth be independent of British rule. The Declaration of Independence was a landmark event in American history, but many hard years of fighting and sacrifice lay ahead before the United States would truly become free. This book in the MAJOR U.S. 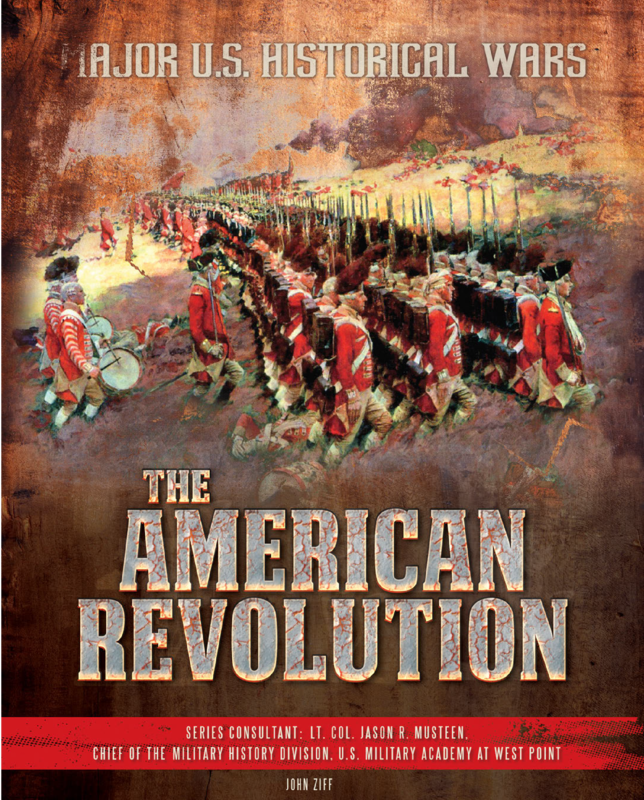 HISTORICAL WARS series examines the events that led up to the American Revolution. It discusses the political and military strategies that colonial and British leaders employed, and provides information about key people, battles, and events. The American patriots' successful revolution inspired people in other places, including France and throughout Latin America, to fight for their own independence against tyrannical rulers. From the time the United States of America was established, slavery had been a divisive issue. As the country grew and expanded westward, compromises by leaders of the Northern and Southern states were required to maintain national unity. By 1861, however, there appeared to be no room for further compromise, and 11 Southern states sought to secede and form a separate country. The U.S. government refused to recognize secession as legal, and sent troops to quell this rebellion. The result was a four-year-long civil war in which more than 600,000 Americans lost their lives. This book in the MAJOR U.S. 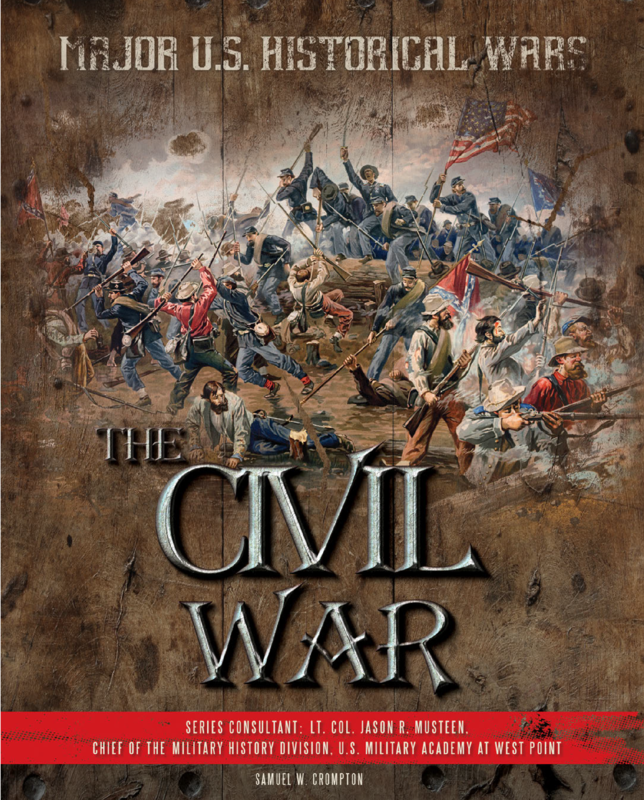 HISTORICAL WARS series examines the events that led up to the American Civil War. 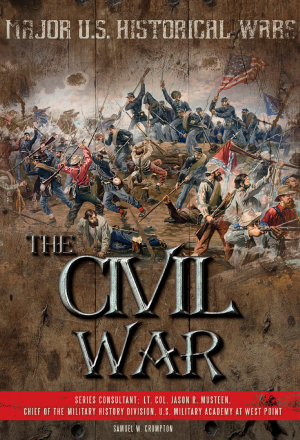 It discusses the political and military strategies that Union and Confederate leaders employed, and provides information about key people, battles, and events. The eventual victory by Federal troops preserved the United States, and led to freedom for some 4 million African-Americans who had been living in slavery in the South. During the Second World War, the United States and the Soviet Union had worked together to defeat Nazi Germany. But in the years after the war ended, the former allies became bitter rivals. The two superpowers did not fight each other directly; instead, they tried to get other countries to support their political and economic systems. The Soviet Union supported the establishment of Communist governments that would answer to Soviet leaders. The United States spent billions of dollars to rebuild Western Europe and sent military advisers and troops to many places in order to counter the threat of Communist expansion. The period of U.S.-Soviet tensions, from 1947 until the fall of the Soviet Union in 1991, is known as the Cold War. This book in the MAJOR U.S. 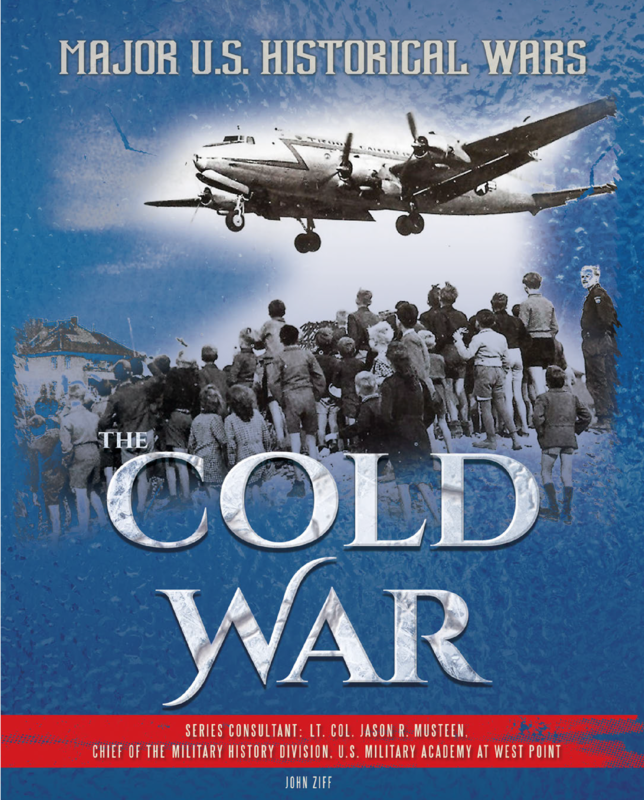 HISTORICAL WARS series examines the events that led up to the Cold War. It discusses the political and military strategies that the world's two superpowers, the United States and the Soviet Union, employed, and provides information about key people, battles, and events. 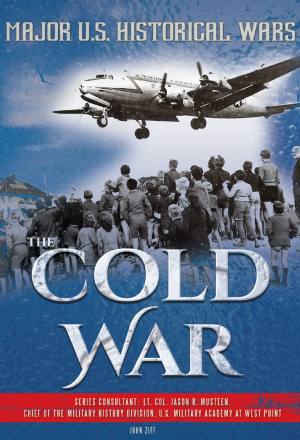 The policies of the Cold War had an enormous impact on the modern world. An early crisis in the Cold War, known as the period of U.S.-Soviet tensions, from 1947 until the fall of the Soviet Union in 1991, occurred in Korea, a country that had been divided at the end of the Second World War. 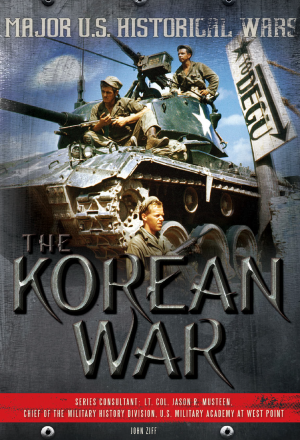 In June 1950, the army of Communist North Korea invaded U.S.-supported South Korea. President Harry S. Truman committed American troops to defend South Korea, and the U.S. made up the largest part of a United Nations force in that country. North Korea, meanwhile, received aid from two Communist countries, China and the Soviet Union, which had interests in the region. The bloody Korean War lasted for three years. This book in the MAJOR U.S. 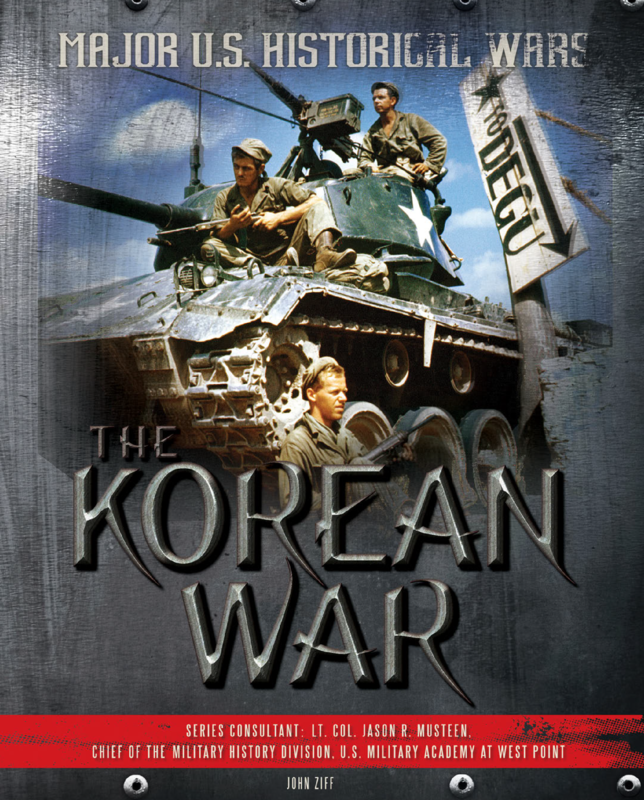 HISTORICAL WARS series examines the events that led up to the Korean War. 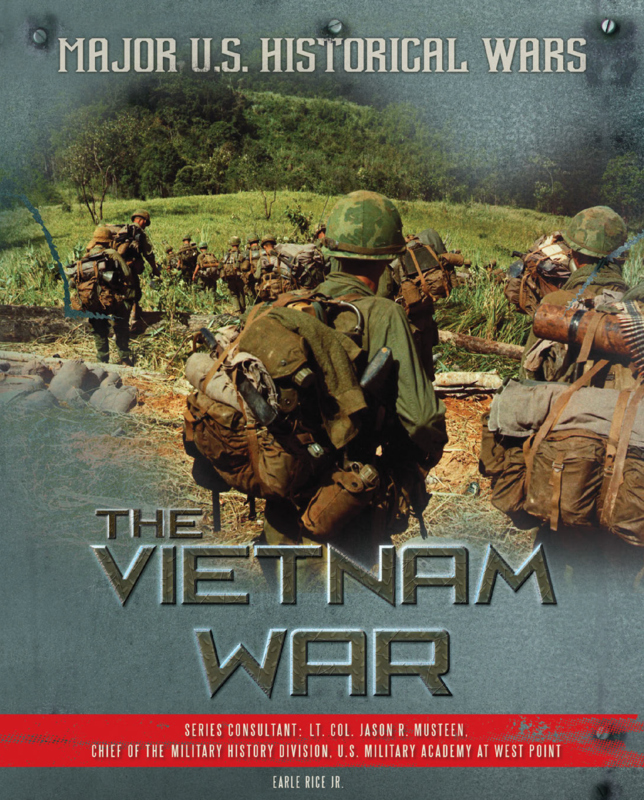 It discusses the political and military strategies that the American, UN, North Korean, and Chinese forces employed, and provides information about key people, battles, and events. Although an armistice was signed in 1953, the war has never truly ended. Tensions have continued between the North and the South for more than 60 years. 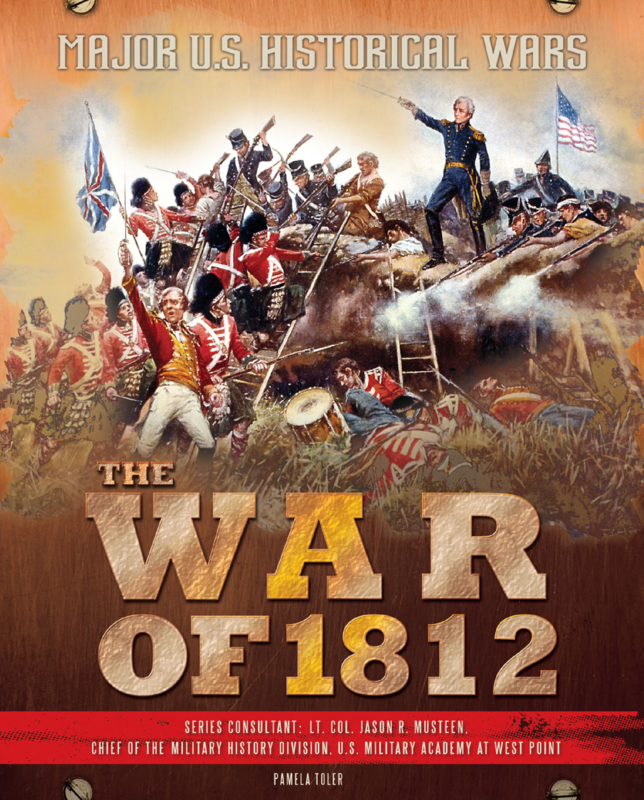 The young United States and the superpower Great Britain went to war in 1812 for many reasons. 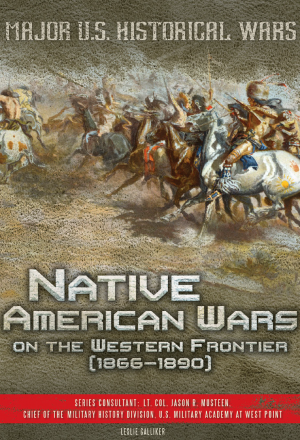 Americans were angry with the British for interfering with their seaborne trade, and for supporting Native Americans on the frontier to prevent westward expansion. The war was fought on the oceans all over the globe, as well as in the British province of Canada and in American ports like Baltimore and New Orleans. This book in the MAJOR U.S. 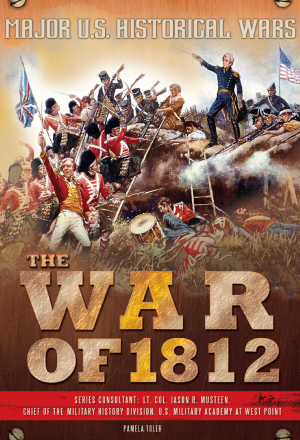 HISTORICAL WARS series examines the events that led up to the War of 1812. It discusses the political and military strategies that American and British leaders employed, and provides information about key people, battles, and events. 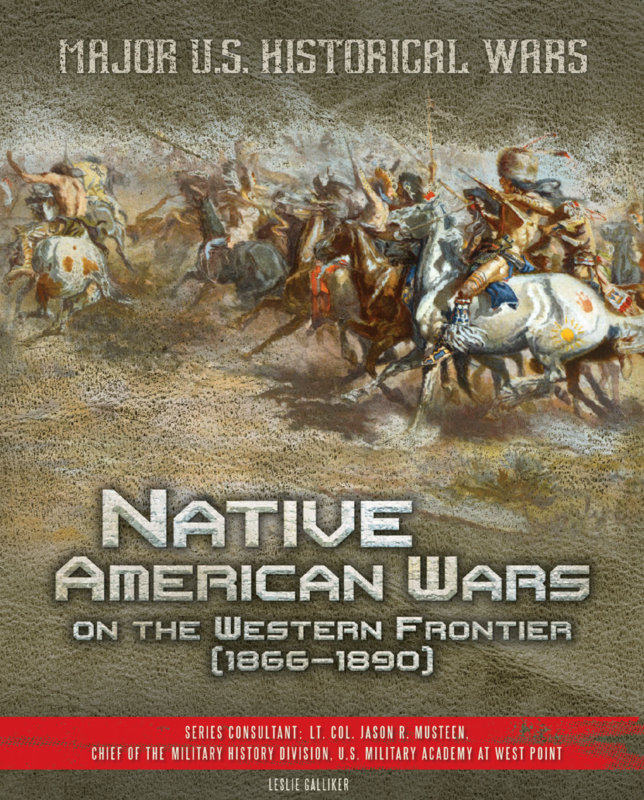 The Americans' success in what has been called the "second war for independence" ensured that the U.S. would remain a free nation, and that it would play the leading role in North American and Caribbean affairs for the remainder of the 19th century. 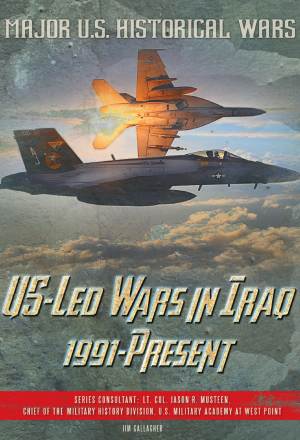 In 1991, the United States led a coalition of nations in a war against Iraq, which had invaded and occupied the neighboring country of Kuwait. That war was relatively brief, but ended with the withdrawal of Iraqi troops from Kuwait, leaving dictator Saddam Hussein still in power. Twelve years later, the U.S. led a new international coalition into war in Iraq, to bring down Hussein's government. Once again, the military aims were accomplished quickly--but the long-term U.S. goal of creating a stable democracy in Iraq has failed. This book in the MAJOR U.S. 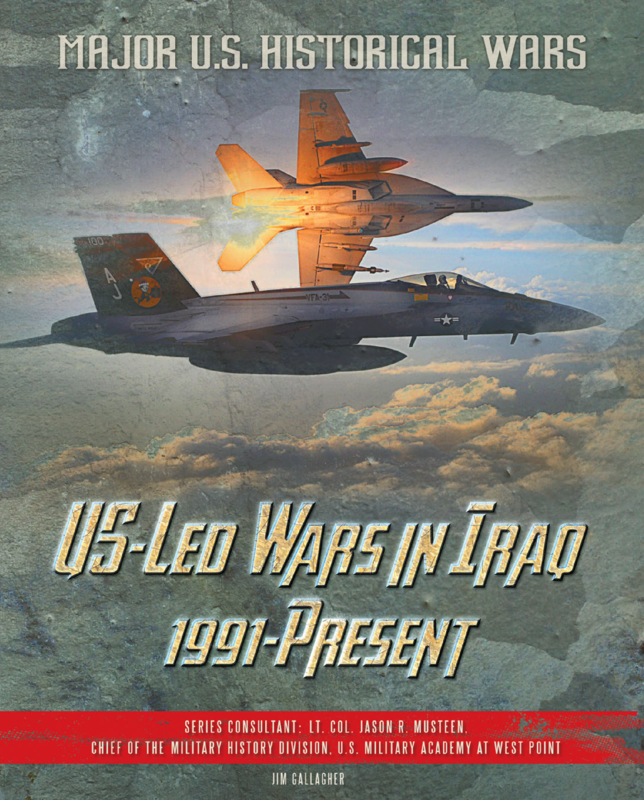 HISTORICAL WARS series examines the events that led up to the 1991 Gulf War, the 2003 invasion of Iraq, and the subsequent occupation and reconstruction of that country by the United States and its allies. 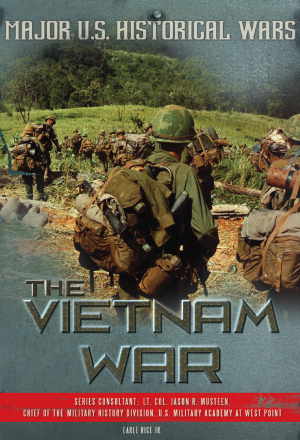 It discusses the political and military strategies that were employed in these conflicts, and provides information about key people, battles, and events. Although U.S. troops were withdrawn from Iraq in 2012, the sectarian conflicts in that country have grown worse, evolving into a full-scale civil war for which there is no simple solution. For more than 30 years, Afghanistan has been plagued by war and violence. In October 2001, the United States sent troops to Afghanistan in order to remove the Taliban, a group of Muslim fundamentalists that had gained control of the country and were sheltering and assisting terrorist groups like Osama bin Laden's al-Qaeda organization. It did not take long for the U.S. military to force the Taliban from power, but creating a peaceful and stable Afghanistan has proven to be a much greater challenge. This book in the MAJOR U.S. 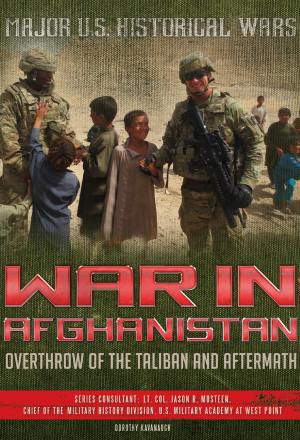 HISTORICAL WARS series examines the events that led up to the 2001 invasion of Afghanistan by the United States and its allies, and their subsequent efforts to rebuild this war-torn state. 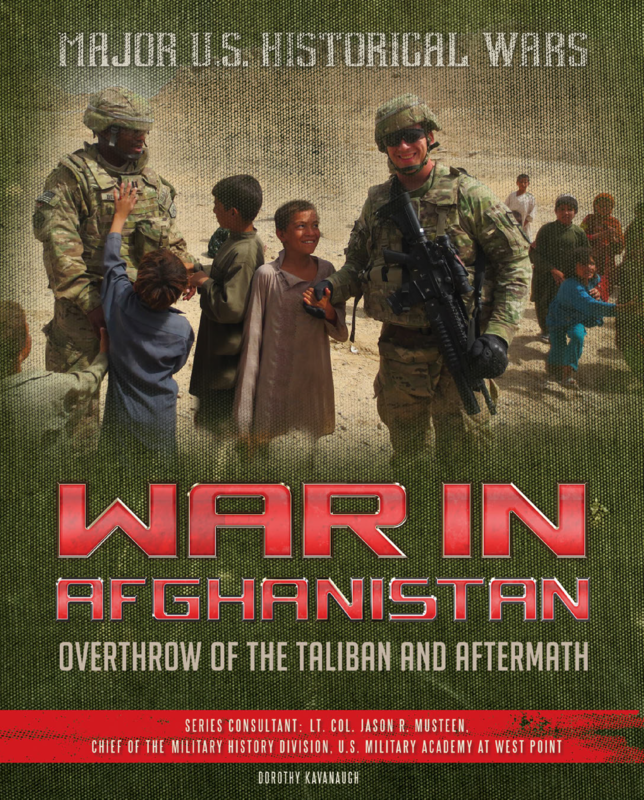 It discusses the political and military strategies that U.S. and Taliban forces employed, and provides information about key people, battles, and events. Although most U.S. troops have been withdrawn from Afghanistan, the Taliban continues to fight for control over the state. The First World War began as a diplomatic crisis between Austria-Hungary and Serbia, following the assassination of Archduke Franz Ferdinand in June 1914. It soon grew into a conflict that engaged all of the world's major powers. On one side was a group of nations known as the Central Powers, including Germany, Austria-Hungary, and the Ottoman Empire. They waged war against the Allied Powers, including France, Britain, Russia, Italy, and eventually the United States. New developments in modern warfare, such as the machine gun, the tank, aerial bombardments, and poisonous gas, resulted in wide-scale destruction and the deaths of more than 15 million people. This book in the MAJOR U.S. 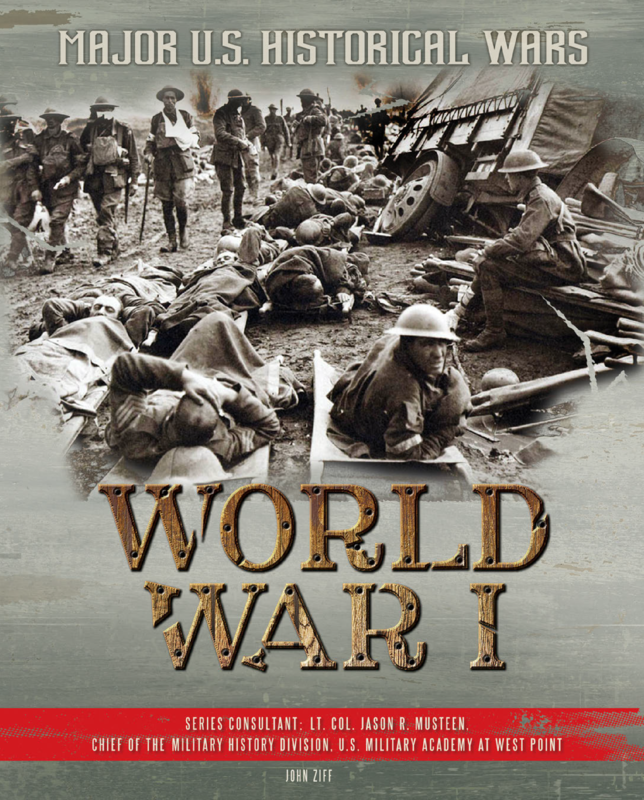 HISTORICAL WARS series examines the events that led up to World War I. 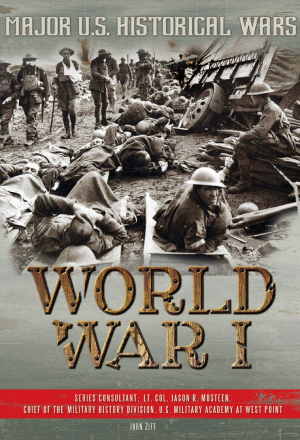 It discusses the political and military strategies that the Allies and the Central Powers employed, and provides information about key people, battles, and events. The most devastating conflict to that point in history, the First World War helped shape our modern world. No other conflict in history matches the sheer magnitude of World War II. Aggressive dictators employed their military forces throughout the globe, forcing peaceful nations to fight back with troops and tanks. Deadly submarines scoured the world's oceans for enemy ships. In the sky, bombers and fighter planes tangled for supremacy. Meanwhile, scientists raced to develop new weapons and technology. The conflict raged for six years, affecting nearly every country on the planet. When the guns finally fell silent, at least 55 million people were dead. More than half were unarmed men, women, and children. This book in the MAJOR U.S. 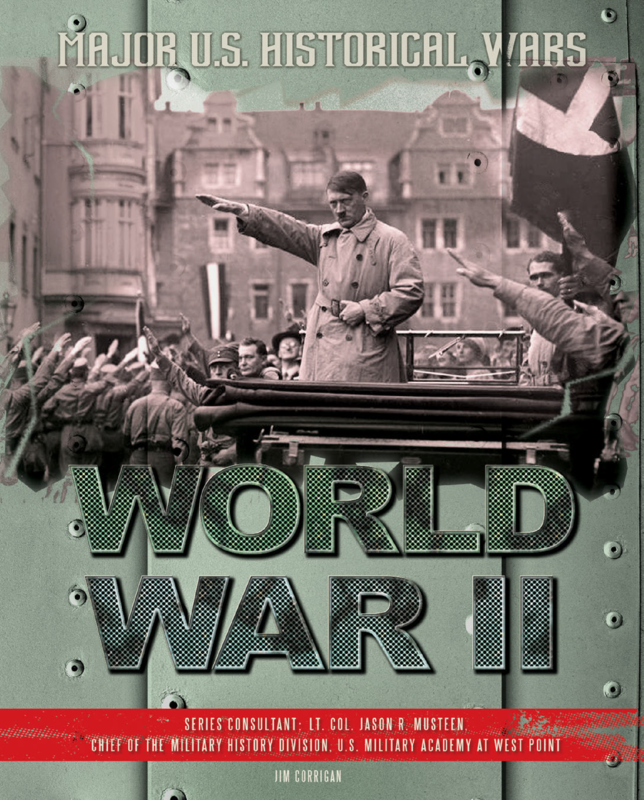 HISTORICAL WARS series examines the events that led up to World War II. 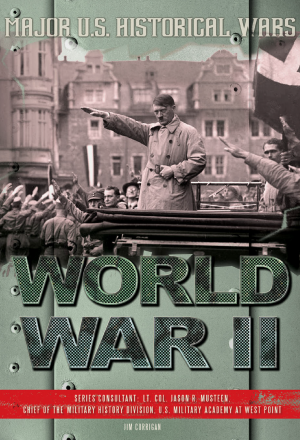 It discusses the political and military strategies that the Allies and the Axis Powers employed, and provides information about key people, battles, and events. The largest and most devastating conflict in history, World War II changed the course of human history, and thundering echoes of its most desperate battles remain with us today.